Prime location: front line beach! 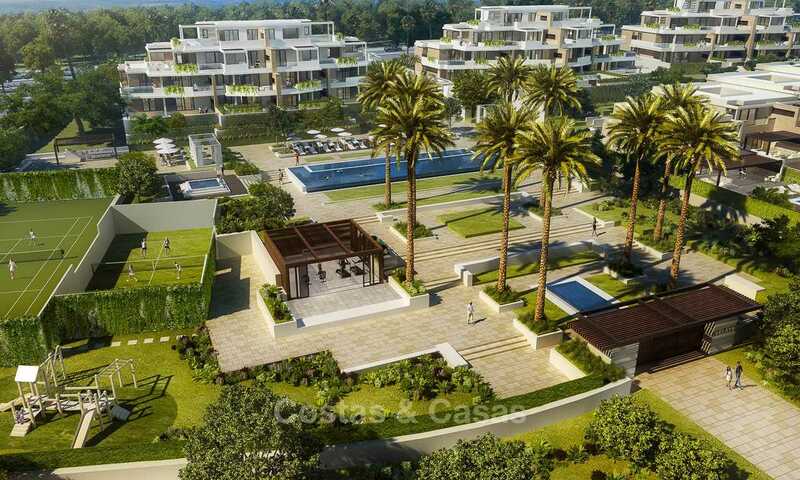 This is a rare opportunity to snap up a modern, new built apartment right on a golden sand beach, on the New Golden Mile, just a 12-minute drive to Puerto Banus to the east and a 12-minute drive to the west to Estepona. Amenities are a short 2-minute drive away. Several golf courses are in the vicinity. 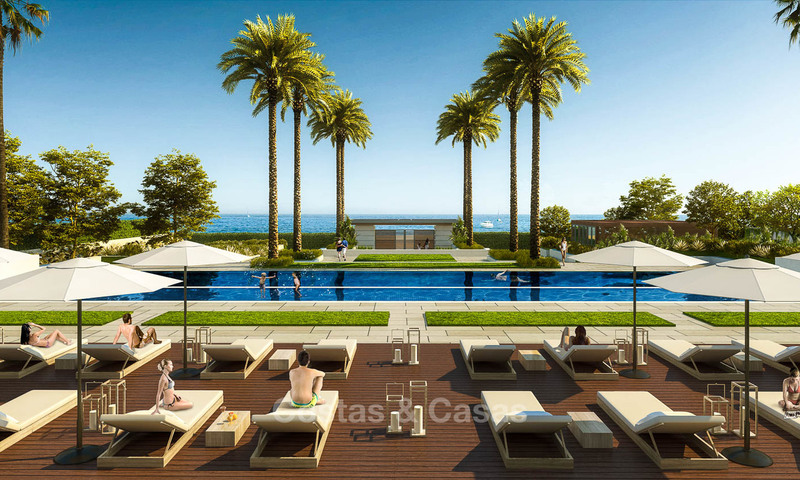 The apartments are part of a new exclusive development comprising 24 apartments, 6 penthouses and 8 villas, all with direct access to the beach. The complex benefits from landscaped communal gardens, a heated communal infinity pool, an outdoor kitchen and BBQ pavilion, a heated jacuzzi, and a pool deck with sunbed and oversize chill-out beds. 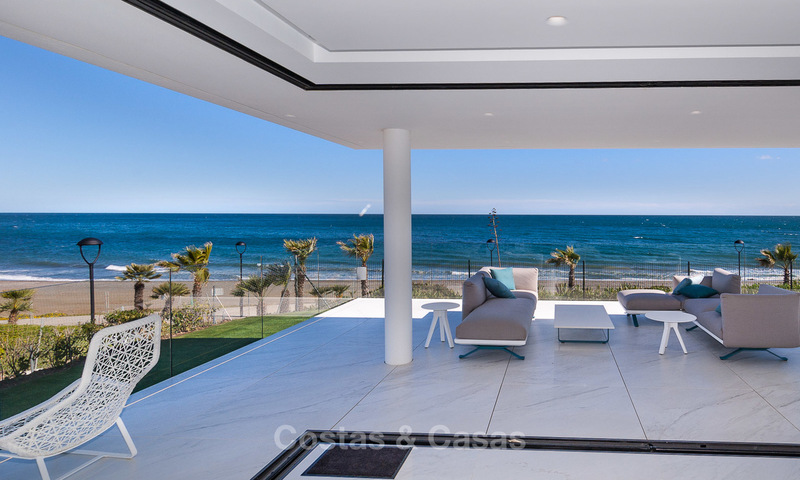 There is also a tennis court, paddle tennis court and an open cardio gym with sea views. For the younger members of the family, there is a children´s pool and a playground. 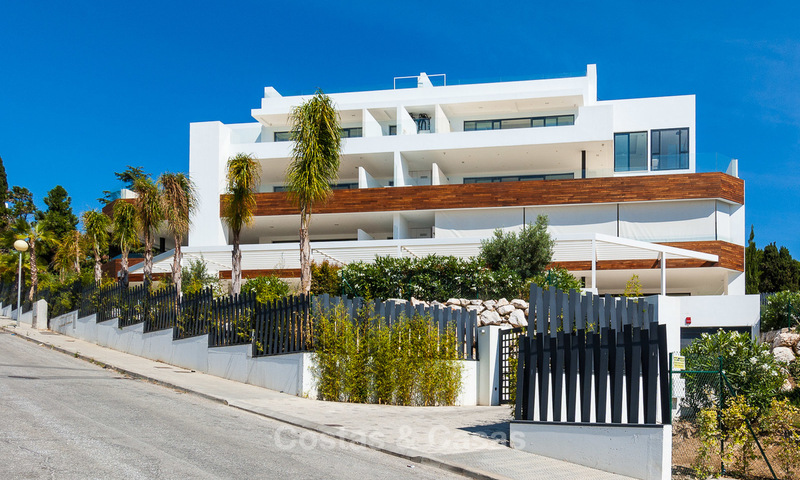 The complex is gated and enjoys 24h security. 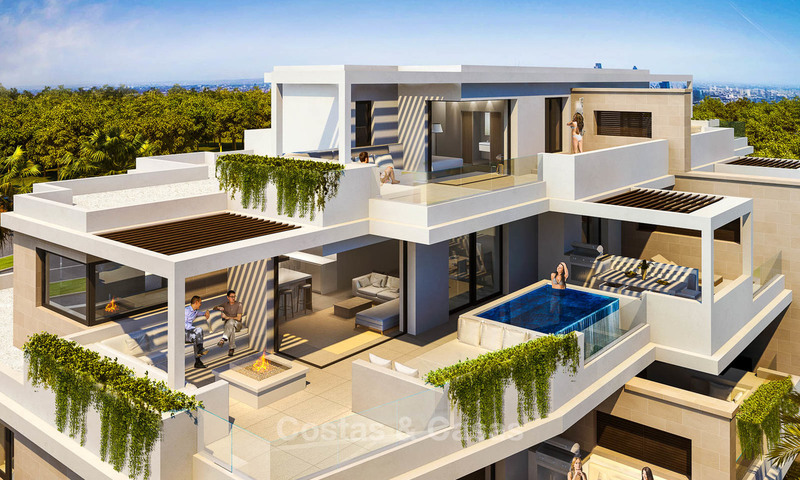 It will be built using the highest standards in modern, timeless design, with neutral colour palette and using only high quality materials for fittings and finishes and top brands for appliances. Large floor-to-ceiling sliding windows bring plenty of natural light in the homes and create a seamless transition between the indoors and outdoors. 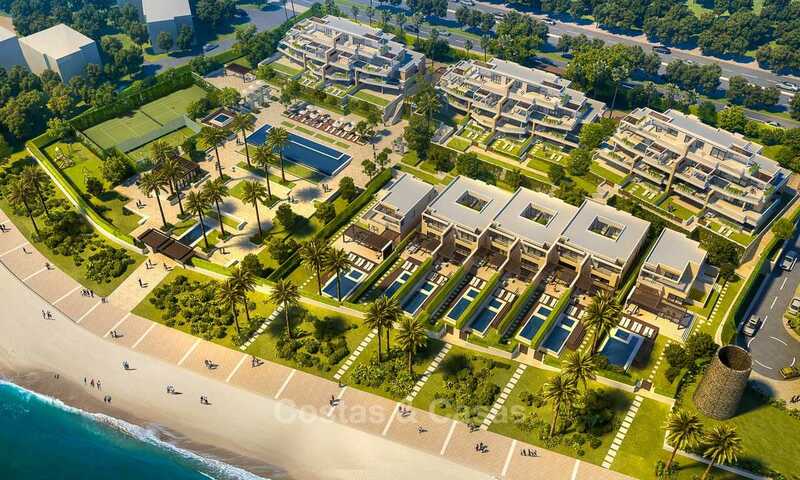 For more information about the villas in the complex, please follow this link. Estimated time for completion of construction work is end 2020 / beginning 2021. 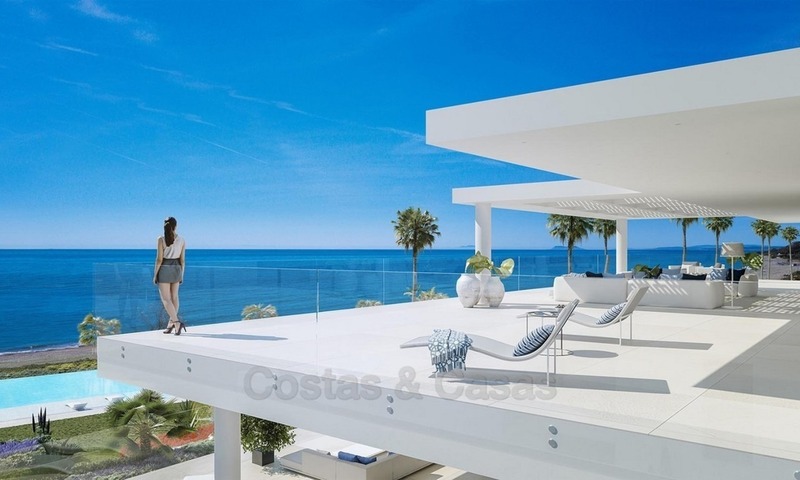 OptIonal: built in ´´terrace package´´ comprising 35m2 to 45m2 plunge pool with Jacuzzi, built in lounge area for sunbeds with outdoor shower, relaxation area with fireplace, outside dining area with Silestone countertop and gas BBQ grill sink and fridge, pergolas covering terrace and garden.